RFG supports and promotes projects and organizations that foster public service and federal workforce development, engagment in foreign policy, and understanding of global connections, international affairs, and national security. The foundation also promotes or collaborates in the efforts of organizations with common aims to enhance the federal workforce, develop capacity and skills of public service leaders, highlight the importance and impact of public service, and the dynamic range of opportunities available in the international arena within the federal government. Following are some of the organizations and initiatives that RFG collaborates with, funds, or promotes. Please click on the links to learn more about their important work. APSIA brings together the leading graduate schools around the world, which specialize in international affairs. DACOR fosters frank dialog about current foreign policy matters in the trusted environment of the DACOR Bacon House. 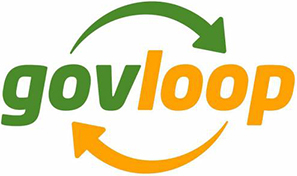 GovLoop serves a community of more than 300,000 government leaders by helping them to foster collaboration, learn from each other, solve problems and advance in their government careers. 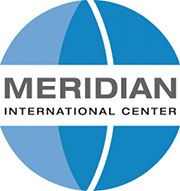 Building on more than 55 years of experience, Meridian prepares U.S. and international leaders to meet global challenges and opportunities. The National Academy of Public Administration helps government leaders solve their most critical management challenges. NASPAA's twofold mission is to ensure excellence in education and training for public service and to promote the ideal of public service. America deserves a great government – efficient, innovative and responsive to the needs of its citizens. The Partnership for Public Service is a nonpartisan, nonprofit organization that strives to revitalize the federal government by inspiring a new generation to serve and by transforming the way it works. PLEN’s mission is to increase the number of women in top leadership positions influencing all aspects of the public policy process. 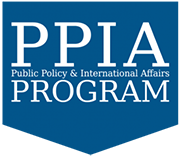 The Public Policy and International Affairs Program (PPIA) works to promote the inclusion and full participation of underrepresented groups in public service and to advance their leadership roles throughout our civic institutions serving domestic and international affairs. Established in 1977 in the memory of Harold W. Rosenthal, the Rosenthal Fellowship was created to expose young scholars of foreign affairs to the inner workings of Congress, the U.S. Department of State and other agencies of the federal government. 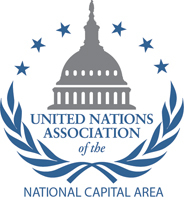 With the help of over 5,000 members, volunteers, and supporters in the greater Washington area, UNA-NCA works to build public knowledge, strengthen UN-US relations, and aid the UN in achieving its goals. Since its founding over 20 years ago, WFPG has been committed to promoting women’s leadership and voices in international affairs through its in-depth global issues programming and mentoring activities. YPFP engages, builds, and amplifies an international community of young, dynamic, diverse leaders from all sectors to accelerate their impact on critical global challenges.